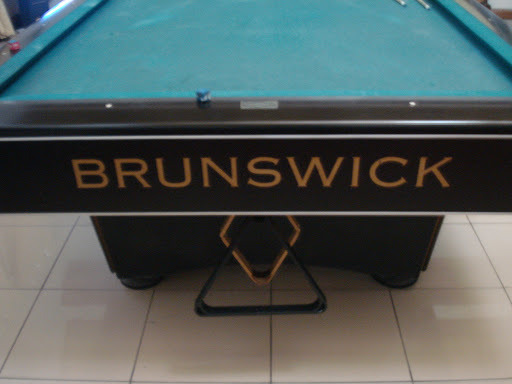 This morning somebody bought our Brunswick billiard table. It was a bittersweet sale because that table belonged to my son. 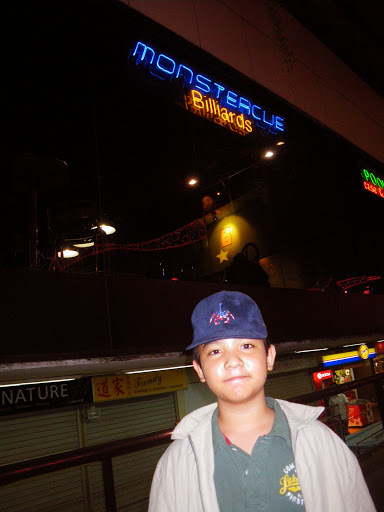 At age eight, my son Patrick got hooked with billiards. 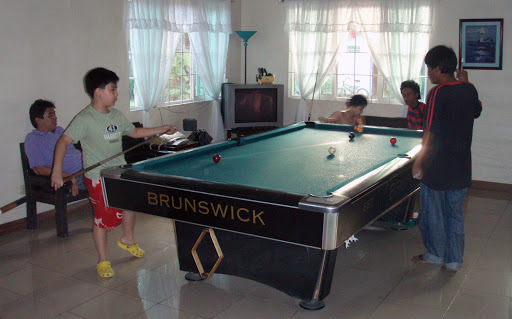 We bought him a Brunswick table so that he won’t have to go to Paeng’s just to play. We placed the table in the middle of our living room as we didn’t know where else to put it. When we have guests, they would play with Patrick and he’d beat them! His regular playmates were our workers from the shop. When he turned 12, he was fitted with a pair of eye glasses. He said the glasses gave him a hard time playing. He never played again. 😦 We were left with a billiard table that nobody uses in the middle of our living room. It’s been three years. Today the table was sold. Patrick didn’t say it but I could sense he was sad to see it go. He asked me if he could keep one set of balls for remembrance. Of course. I told him he could have part of the sale to buy what he wants. He said he just wants a new pair of Adidas adiPower weightlifting shoes. Patrick can have his Adidas and I can have my living room back. All’s well. Anyway, whatever his interest is now or in the future, I'm sure he will always excel. And getting rid of things you don't use anymore is a wise move. We don't like clutter, right? Right!!! It's a closure but also a beginning. Patrick is now into another sport. Good for him. Good for you also now that you have your living room back. That's also a “new” phase for your interior decorating adventures. God bless you!